From the very beginning, the goal of KC Derby Digest has been to bring Kansas City roller derby into the spotlight and give it the exposure it so richly deserves, exposure the mainstream media apparently cannot (or will not) offer this great sport and its participants. In the earliest days, we simply had the web site and a Facebook presence, and at the time, that was really all we needed. However, as KC Derby Digest and Kansas City roller derby continue to grow and expand, it has become necessary to branch out and meet fans halfway wherever they may be — and in this age of digital information, that means social media. So branch out, we have. We now have a social media presence in what we consider all the right places, so feel free to like us, follow us, pin us, and tweet along with us as we bring you The KC Derby Digest Experience. Inexplicably, one of the most common questions we get at events and bout nights is, “What do you do with all the photos you take?” Of course, to know the answer to that, you’d have to already follow us on social media, and we understand many people aren’t quite as plugged in as we are simply because they have lives and we don’t. 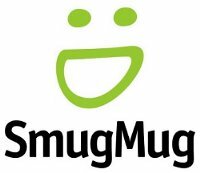 Smugmug is technically not “social media” in the strictest sense, but it is where we keep all the photos we’ve taken at the various events the Kansas City roller derby leagues have hosted since we launched this little endeavor back in late 2011. You may notice that the quality of our photos has improved dramatically since those early days, and that’s simply because we’re not professional photographers and have never claimed to be. We do, however, strive for constant improvement, and along those lines, we think you’ll be very pleasantly surprised. Click for ALL the photos! Feel free to share our photos on various social media, but if you do, please don’t crop, edit, or alter the photos in any way. Always remember to credit KC Derby Digest, not an individual photographer, in the caption. Like it or not, Facebook is the granddaddy of them all in the world of social media. It wasn’t the first to come along, but it is by far the most important, and probably always will be. As of press time, we have nearly 1,400 ‘likes’ on Facebook — which is more than some of the teams and leagues we promote — and we are growing every day. Good old Zuckerberg drives more traffic to this web site than any other entity, hands down, with the possible exception of word of mouth. If you haven’t already ‘liked’ us, get yer tail over there and get ‘er done. Click for the Facebook page. We post to Facebook all the time. It’s our most often-used social medium. We don’t use it for photo albums because of its low-quality presentation (and peoples’ rampant tendency to share photos without credit, a phenomenon that doesn’t happen on other social media, for some reason), but we use it heavily to advertise new articles on the web site, upcoming events, and other derby-related news going on in Kansas City. Always feel free to ‘share’ any of our posts you may find on Facebook. That helps spread the word about us, and in turn, spreads the word about Kansas City roller derby. We’ve resisted the siren song of Twitter from the day it was launched. Don’t tell anyone, but we’ve always believed it’s the single most prominent example of everything that’s wrong with human nature. However, there are marketing opportunities too valuable to ignore. Click for our Twitter page. The first is that you don’t actually have to follow us on Twitter if you don’t have an account (or don’t want one). All our tweets are public, and they always will be for that very reason. To reach the maximum number of people possible, we don’t lock anything down. Just go to our Twitter page, and everything’s there. The second bit of good news is that there are only two times we will tweet: when we publish a new article on KC Derby Digest, and when bouts are in progress. On bout nights, you’ll see us tweeting scores and highlights, mainly at period breaks. Other than those two times, we simply don’t tweet. It’s not because we don’t like it (even though we don’t), it’s because we don’t want to blow up your Twitter feed if you don’t follow a particular league, or if you’re simply more of a casual fan than we are. We might be a little late to the party, but we finally got around to launching our Pinterest page a couple of weeks ago, and we’ve been pinning away ever since. It’s surprisingly fun. We didn’t announce it right away because we wanted to build up some content first. Click for our Pinterest page. We think you’ll especially enjoy the board called “Pre-KC Derby Digest,” a collection of photos from when we were just wee fans, well before we launched this web site. What, you may ask, is the point of having a photo album on Smugmug and a collection of photos on Instagram simultaneously? In the beginning, we asked ourselves that same question. Think of our Instagram page as a backstage pass, an opportunity to see the bouts from a vantage point you might not otherwise have. Since most leagues grant us access to areas of the venue the general public can’t visit themselves, our Instagram photos will offer an interesting behind-the-scenes look at your favorite leagues. Click for our Instagram page. We will only post photos to our Instagram page during events — no other time. Our philosophy here mirrors that of our Twitter page: we want you to enjoy our content, not be bludgeoned by it. You can follow our tweets and Instagram photos during events even if you’re there too, kind of like live tweeting for photos… without the need for Twitter. Our Instagram photos are exclusive content found nowhere else, and if you share them online, please remember to credit KC Derby Digest accordingly. And as always, feel free to share any of our social media pages (and this web site) on any social media forum you like. The more you promote KC Derby Digest, the more you help promote the sport we love. And if you love Kansas City roller derby half as much as we do, take a moment and let everyone know about KC Derby Digest. It’s always been our mission to promote The Greatest Sport in the World, and like the leagues we follow, we rely on fans to get the word out. Roll on, Kansas City!